Hmm, "compilation" is a bit misleading word here, and yet not faulty: 'The Theme: The Rhodes Elegy' (65:00!) was originally released in 2002 as CD One of a multiple disc set, and 'Chinese Ears' (14:55; released earlier in shorter form) was intended to participate in the Millennium festival in China. 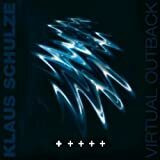 The title Virtual Outback, according to Schulze, means nothing special but just sounds nice. The liner notes include a lot of interview-based text. One thing is sure indeed: Schulze's compositions seem to need more and more length, as he confesses. 65 minutes of one track, phew! Luckily it's up to his high standards, pleasing to his fans if not necessarily the very best he's done. 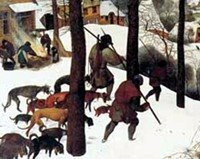 The massive work is quite typical Schulze from recent decades. On the surface there are no big happenings, and especially during the first ten minutes or so the sound is soft and gentle. Spacey and dreamy as usual. Guest appearances include vocals (without lyrics), flute, cello and oboe. Often they are electronically processed and it's not easy to know if you're hearing a keyboard or an acoustic instrument. The electric guitar by someone called Mickes stands out better. It's not unlike Manuel Göttsching's guitarism in Ash Ra Tempel, Schulze's group in the early seventies after his membership in Tangerine Dream. There is some progression but on the whole I think here and there it all could have been put in less time. 25 first minutes are relatively better than the whole 65 minutes, which should have had some more variety. 'Chinese Ears' brings nice contrast as it's more lively and tight compostion. This CD is well worth hearing in Schulze's vast catalogue but not essential. 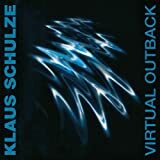 Post a review of KLAUS SCHULZE "Virtual Outback"